Start receiving ADS-B traffic, subscription-free weather on your Garmin aviation portable or mobile device with the Garmin GDL 39 ADS-B receiver. When using the Garmin Pilot app on your mobile device, the GDL 39 can provide highly accurate WAAS GPS data as well. The GDL 39 features ADS-B "In" datalink technology that allows it to receive subscription-free Flight Information Service-Broadcast (FIS-B) weather information over the FAA’s 978 MHz Universal Access Transceiver (UAT) uplink. Easily access graphical NEXRAD radar, METARs, TAFs, winds and temperatures aloft, PIREPs, NOTAMs and more right on your compatible Garmin aviation portable or through the Garmin Pilot app on your iPad or Android device¹. The GDL 39 can receive ADS-B position reports directly from other aircrafts in your vicinity. Because the FAA permits ADS-B broadcasts on 2 frequencies (978 UAT and 1090 ES), the GDL 39 contains both receivers so you can see a comprehensive view of all ADS-B "Out" equipped targets. The compatible display² will alert you by announcing traffic targets both audibly and visually. Spoken audio alerts announce "Traffic, Traffic" to get you looking right away. ADS-B "In" technology also allows the GDL 39 to receive Traffic Information Service-Broadcast (TIS-B) information. TIS-B allows you to view the same dynamic traffic picture that ATC ground controllers are seeing when you're either participating with an ADS-B "Out" solution or within a certain range of another ADS-B "Out" participating aircraft when within a service area. Garmin correlation technology automatically displays the highest-integrity traffic data from multiple sources, preventing ghost or duplicate targets. With the Garmin Pilot app on your mobile device, you can receive advanced traffic display features like TargetTrend™ relative motion tracking that provides a faster, more intuitive way of judging target trajectories and closure rates in relation to your aircraft's position. 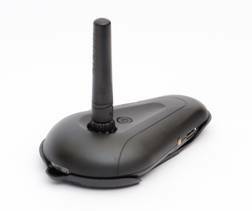 The GDL 39 can provide highly accurate WAAS GPS location information to your mobile device – like an iPad – using Bluetooth technology. This provides your device with the precision you’d expect from Garmin’s aviation-grade navigation devices, updating at a rate of up to 5 times per second depending on the capability of the device used. With built-in Bluetooth capability, GDL 39 can wirelessly send the data it collects to devices running the Garmin Pilot and ForeFlight Mobile apps, as well as the aera 795/796 and aera 660. GDL 39 collects and stores all available traffic and weather data in your vicinity so it can be available as soon as you turn on your display. It's capable of simultaneously providing wireless data to 2 devices while hardwired to a third. As opposed to using a Wi-Fi link, Bluetooth lets you stay connected while on the ground so you can continually receive the latest weather reports as long as you have a data connection — no manual switching of networks required. Just set it up once and it will automatically remember and pair with your mobile device the next time you hop in the cockpit. Should wireless connectivity not be an option with your device, a wiring harness is included with your GDL 39. The device can go up to 4 hours between charges, and a cigarette lighter adapter is included for onboard power on longer trips. As technologies continue to develop, software updates will be available through your Garmin aviation portable via Garmin Pilot and a separate utility app on your mobile device using the Bluetooth connection. ¹Not all FIS-B products may be available across all devices. Check your Pilot's Guide for specifics about which products are available on your device. ²Both the audible traffic alerting feature and TargetTrend™ require compatible displays. Please check the Pilot’s Guide for specific capabilities available on your display. Note: The GDL 39 is a non-certified receive-only product. It does not provide ADS-B "Out" capability to satisfy FAA mandate requirements. Review: Met my expectations and works with my 5 year old aera 560. ( garmin could not confirm that their new replacement gdl 50 series unit would work with the older aera 560, so I bought the gdl39). I mounted it on its side on copilot side panel just as high as possible in my Cessna 172 and it seems to receive adsb signal ok but only in flight. I don't think the fsbi weather is as good as XM but will go be it a free try. Review: I have used this for a year in 4 different airplanes. I have this unit blue tooth too an I-pad Mini running garmin pilot the combination gives me get great weather as well as traffic. Review: I like the display that it provides in combination with the Garmin Pilot program. No documentation on the different displays. Traffic alert page, is the numbers displayed flight levels or feet above or below you. Review: The GDL 39 is not as Im expected. I can get it to work on the ground but not in the air. I would not recommend it to anyone. Pros: It is easy to work and understand. Review: Yes, it picks up the ADS-B stations the moment I got airborne. It works with both the Aera 500 and also it hooks up to my Android Tablet via Bluetooth connection. It comes with free 3 month subscription of Garmin pilot software. I downloaded the Garmin maps, and I can watch the weather on both units. b) I got it for my GPSMAP396, hoping to quit paying XM weather and getting traffic. (also for my Ipad). GDL39weather cannot be seen on 396, but no where was I warned about it. Pros: Loves the Garmin 796 work fantastic with it!!! Review: This guy works great with the Garmin 796!!! A great back up to the XM when the XM goes kaput which it does on a north and south track. Wish battery life was a bit longer. Cons: No page for description of functions see above. A power pig, but knew it when purchased. Cons: Both units uses a generic type cable one for GDL39 and the other for satelite. Cons: ADS-B does not work with anything else. Give great GPS signal to all other systems. Q: Does it come with a battery or must it be purchased separately? A: This does not come with a battery. The battery is sold separately. Out of the box, the Garmin GDL39 includes a cigarette lighter adapter to power the unit during flight. Q: I have bought Garmin pilot app. Now with this I want to incorporate GDL 39. My primary target is to get real time weather as I don't have weather radar. Now my query is does it work outside U.S.? A: The free ADS-B Weather service provided by the GDL 39 is only available in the USA. A: Yes, you can use the GDL39 with the Garmin GPSMAP 696 to overlay ADS-B weather on the 696 screen.